House Minority Leader Nancy Pelosi (D-CA) said on Thursday that “now” is the time to talk about comprehensive amnesty legislation because Democrats have regained control of the House. Conceding that illegal immigration is a losing issue for Republicans, Pelosi revealed that she suggested to Democrats running for Congress to not get into fights with the Trump administration on immigration and instead “stick with lower healthcare costs, bigger paychecks, integrity in government” so they could win their races. “Everything is about timing,” said Pelosi, who also told Democrats to “just win, baby,” even if it meant telling voters that they would not support her. Pelosi noted that the Gang of Eight’s comprehensive amnesty bill passed the Senate three years ago but then-House Speaker John Boehner (R-OH) refused to bring it up in the House. “That was really a very sad thing for our country—that they would not bring it up,” she continued. She claimed “that would be good for economy” even though millions of workers would be competing with working-class Americans of all backgrounds. Trump and Republicans will likely demand funding for the border wall in any potential amnesty compromise that is brought to the table, but Pelosi, three weeks before the midterm elections, said she would trade “nothing” to give Trump a border wall. Pelosi also said having the gavel—and the threat of subpoena power—would give her great “leverage” in any future negotiations with Trump’s White House. Pelosi has always coveted a massive comprehensive amnesty deal. 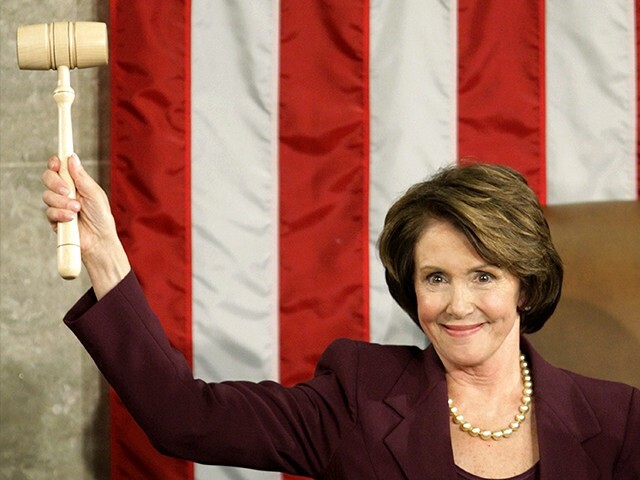 In 2014, Pelosi even said she would rather pass amnesty legislation than get back her gavel.